Premium takes your campsite into the fast lane. 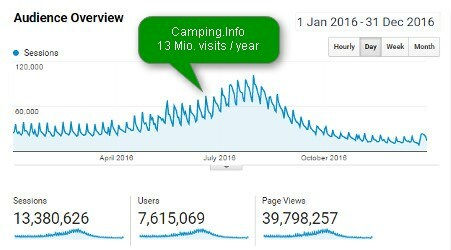 Become a Premium campsite on Camping.info and benefit from enhanced presentation at all levels, see more traffic on your pages and attract more visitors to your campsite. According to independent sources (e.g. 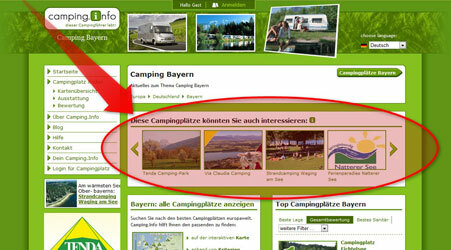 Google Website Trends), Camping.info is one of the most visited online camping guides in the German-speaking world. Around 14 million visitors annually (!) make an impact. With a Premium Entry, your site will be advertised right on your competitors’ details pages. 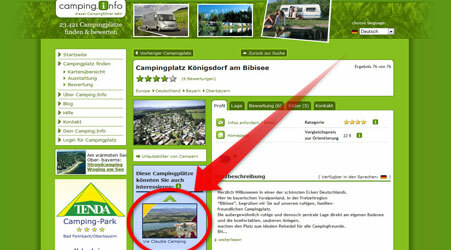 Your site will be presented on the pages of campsites that are closest to yours geographically. There’s no better place to reach your target audience. Your page won’t have such advertising on it. Your icon will overlap those of non-Premium sites. Your campsite will be listed before other non-Premium sites. Your campsite will be more prominently displayed in the list of search results. Photos & videos, a brief description, a direct enquiry link and a link to your website all appear right on the search page. 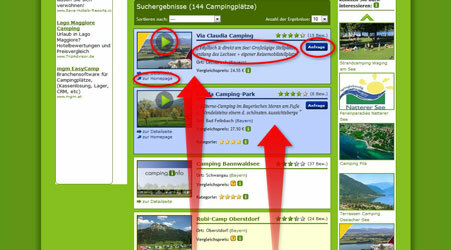 Compare the number of visits to your campsite’s page with those of your competitors. 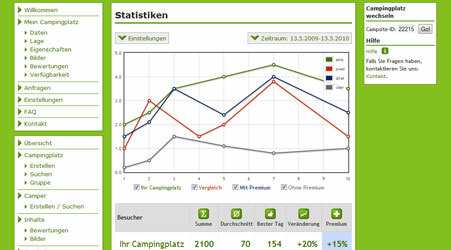 See how the number of visits to the details page of any European campsite has developed over time. Satisfaction Guarantee: If you are not completely satisfied with the benefits of your Premium Entry, you can cancel within 2 weeks of purchase. Your Premium Entry will be deactivated immediately, and you will not be charged for the service. Cancel Anytime: The Premium Entry service is extended automatically after the first year. At any point after that, you can cancel your Premium Entry without prior notice. Secure: Pay conveniently and securely via invoice. What do customers have to say about Premium? We have had a positive experience with Camping.info since 2009. 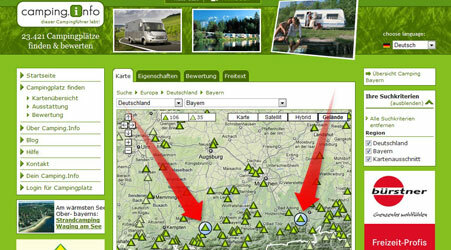 It has enabled us to promote our campsite successfully online all throughout Europe. The reliability, availability and competence of this young Austrian business achieve exceptional results in international marketing, especially with the new “Premium Entry” service.